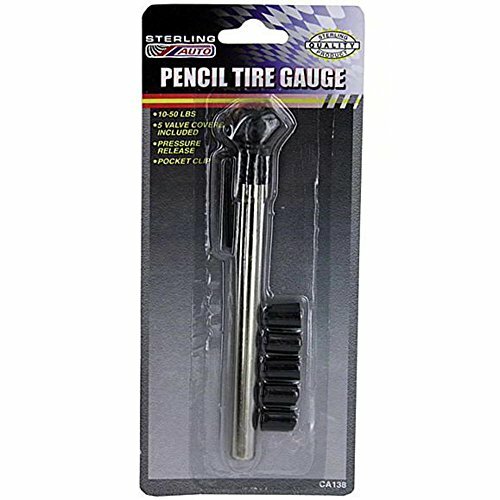 The tire pressure gauge is an essential item for automobile safety. Monitoring your tire pressure helps increase your car mileage and reduces wear on your tires. Comes with 5 valve covers. Can measure 10-15 pounds. Comes on a blister card package with hanging hole. Each gauge measures 5 1/4"